It’s 1943 in Muskegon, Michigan. Our founder, Herb Kersman, opens a small electroplating firm to support the war effort by producing cadmium- and zinc-plated materials. 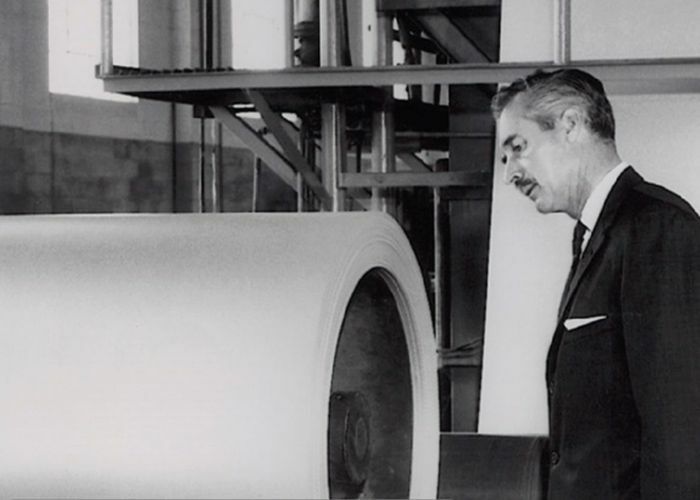 The demand for anodized aluminum eventually prompted Herb to pivot business strategies, and the rest they say, is history. 1943: Herb Kersman opens electroplating company called Muskegon Plating. 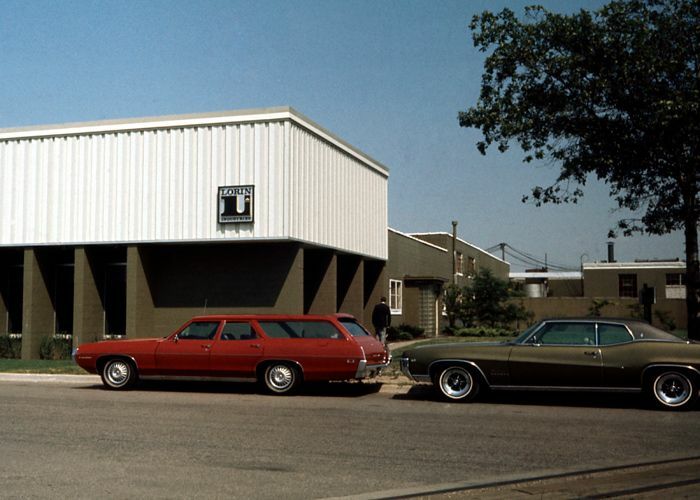 1953: First-ever coil anodizing line designed and built. 1957: Fire causes severe building and line damage. 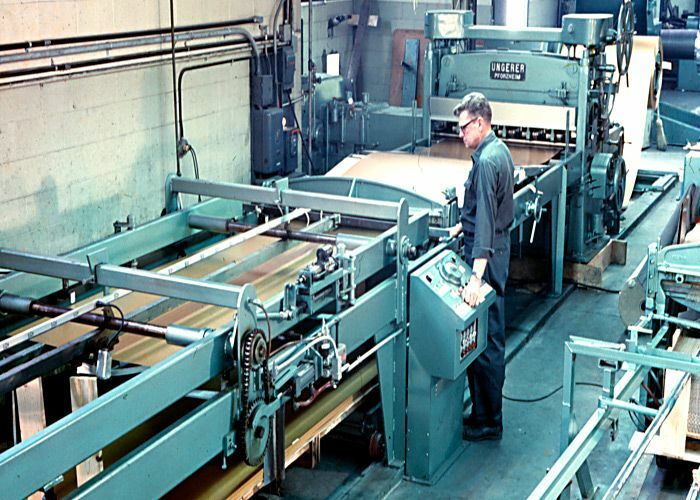 Early 1960s: Two more coil anodizing lines built. 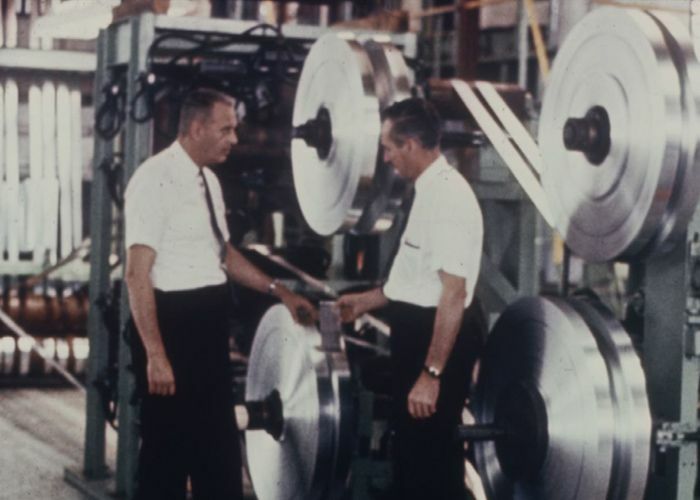 1962: Coil slitting and shearing services added. 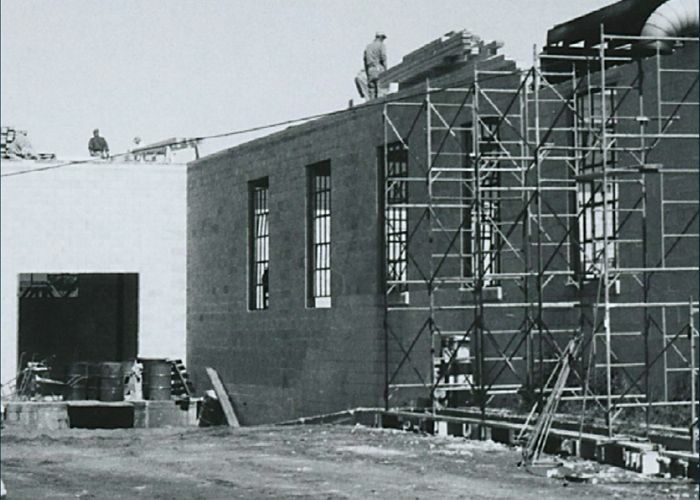 1976: State-of-the-art wastewater treatment facility built. 1983: Robert “Buzz” Kersman purchases Lorin Industries. 1988: UV-resistant ColorIn® colors introduced. 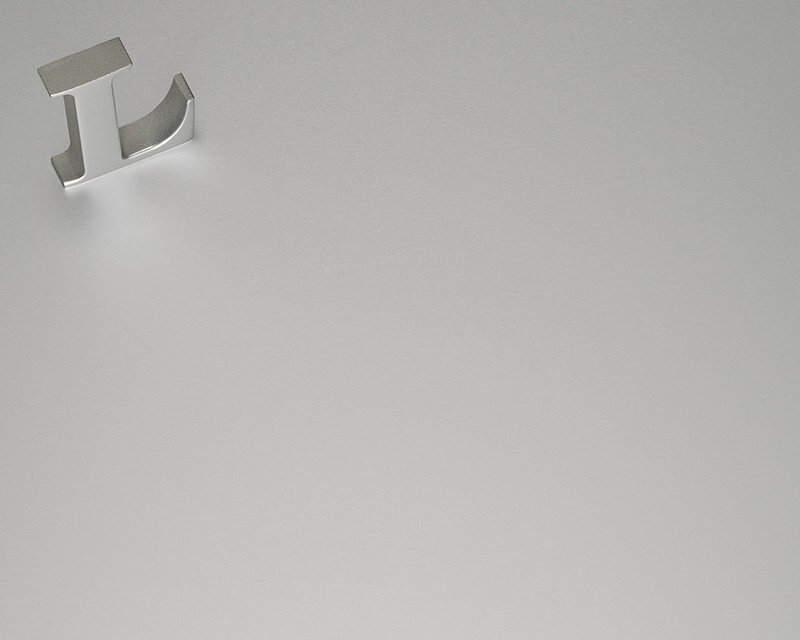 1991: Innovative lighting sheets developed: PreMirror®, DuraMatt® . 1991: Cogeneration facility built for a sustainable future. 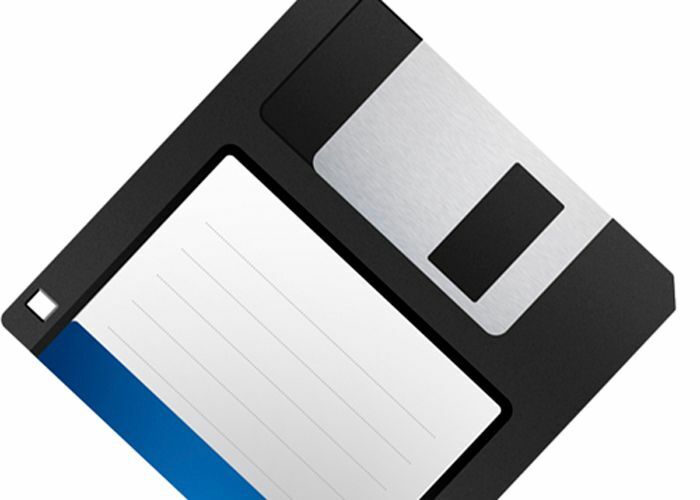 1992: Established as a global leading supplier of 3.5″ diskette for personal computers. 1996: Eighth coil anodizing line built. Early 2000s: Business expands internationally to Asia, Europe, and Latin America. 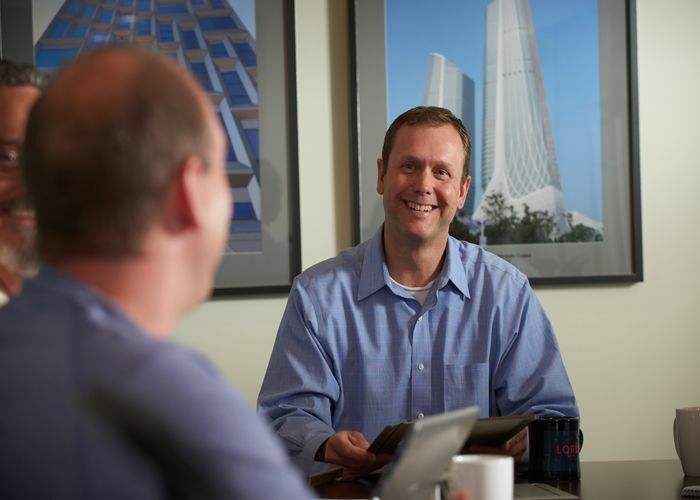 2006: Park Kersman becomes third-generation owner. 2006: Lorin launches Adhere® patented in 2009. 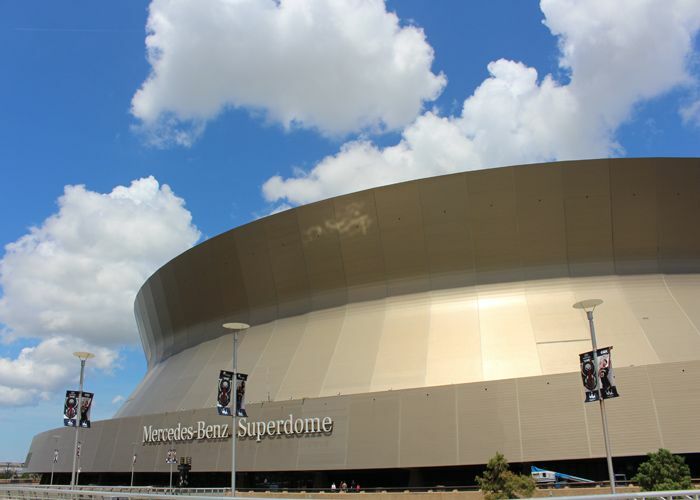 2010: Mercedes-Benz Superdome refinished with Lorin anodized aluminum. 2013: Expands architectural business in China with Zaha Hadid’s Nanjing Youth Olympic Center. 2013: Lorin becomes the official anodized aluminum supplier for Rimowa luggage. 2016: Awarded “Project of the Year” by Metal Architecture Magazine for the Owensboro Convention Center.